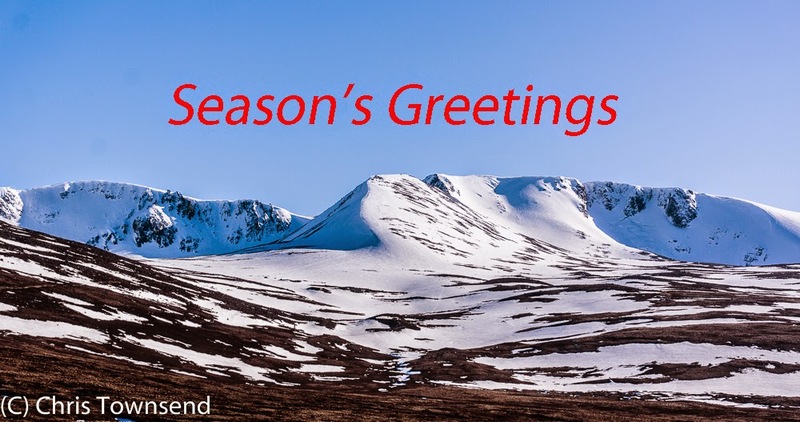 Chris Townsend Outdoors: Merry Xmas & A Happy New Year Everyone! Happy Christmas to you Chris..and many thanks for keeping us all inspired with your thoughts and trip photos. That is a wonderful photo showing us blue sky and sun...my wife is so fed up with the grey skies she's gone home to Canada for Christmas! I'm heading to the Highlands for a few days.